The Samsonite Kombi is a large laptop backpack that is perfect for anyone who needs a professional looking bag for work or travel. 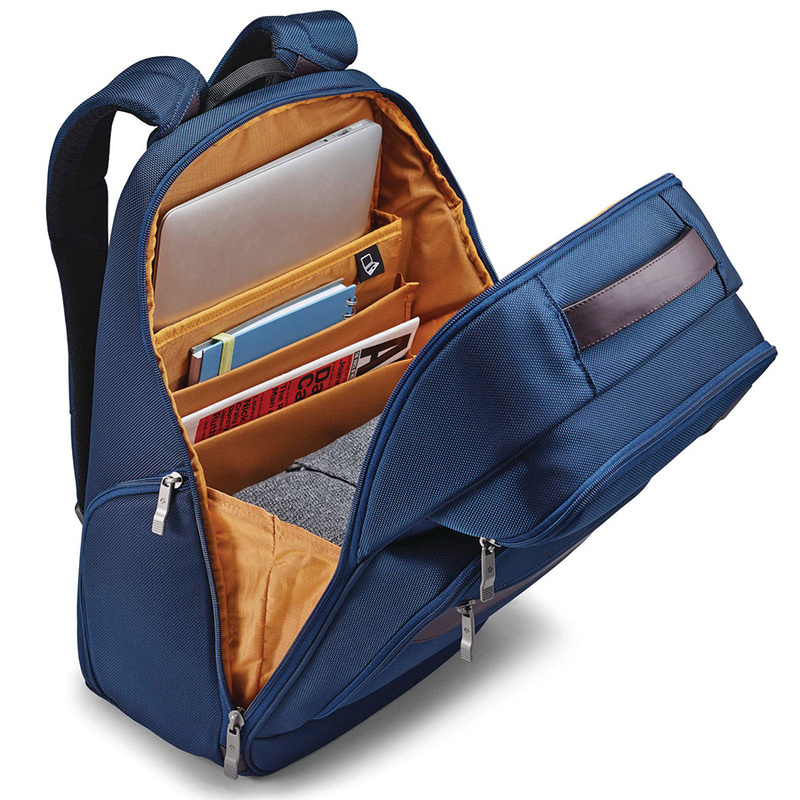 The main compartment is large enough for books, binders or even extra clothes. There are also tons of compartments, organizers and pockets throughout the bag for all of your tech, personal and business gear. Samsonite offers the Kombi in two sizes; the large version featured here and the more compact Kombi Small backpack. Contrasting orange interior lining makes finding your items easy. This is especially helpful with small items that tend to get lost at the bottom of the bag. Backpack bottom is flat enough to allow the backpack to sit up when placed on the floor. A small detail, but one worth noting. Structured design makes the backpack look large and bulky even when not full.